Whatever the reason - misspelling, name change, etc. - you can easily update your first and last names in your account settings. P.S. 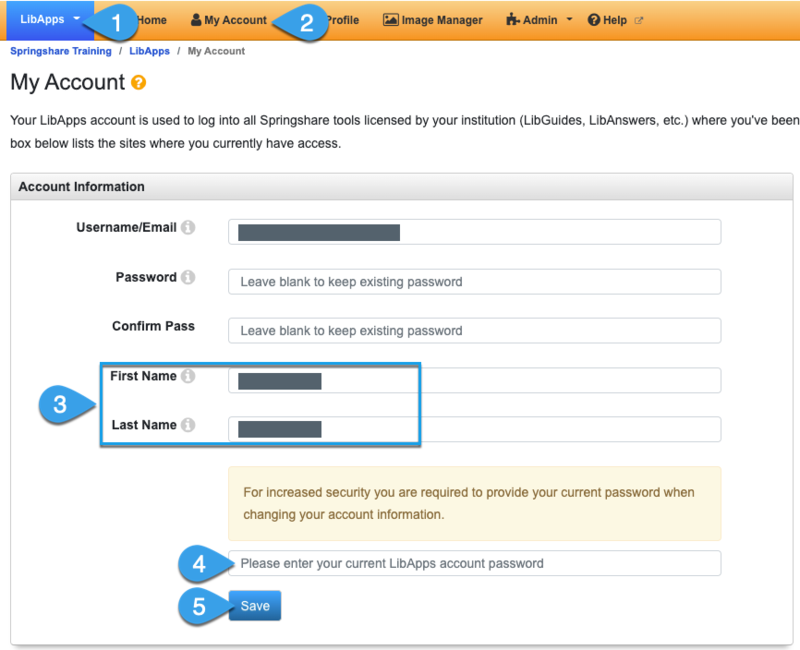 You can also ask your LibApps Admin to update your name on your behalf! They can do so by going to LibApps > Admin > Manage Accounts > edit icon for your account. Update the First Name and/or Last Name fields.